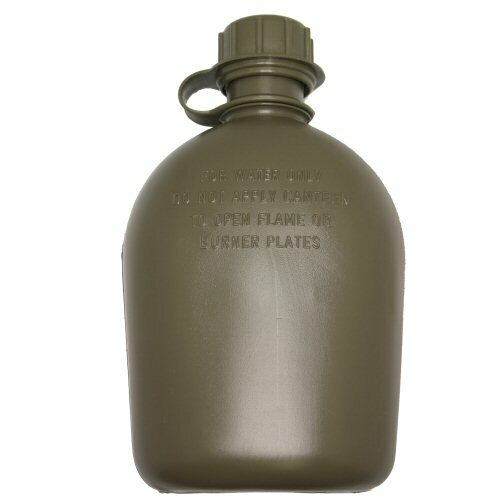 The classic issue US 1 quart (approx 1.136l) water bottle. Water bottle is made of molded plastic, with integrated screw-down cap. Seal inside cap is an improved plastic type, not the polystyrene type which will harbour bacteria. 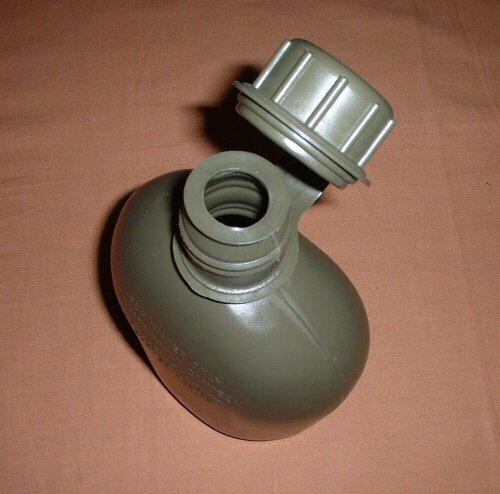 View of top of bottle with cap open.